The ease of use and apparent safety of the vacuum extractor make it a dangerous instrument in inadequately trained hands. The silastic ventouse is soft and flexible. It is made out of silicon rubber. 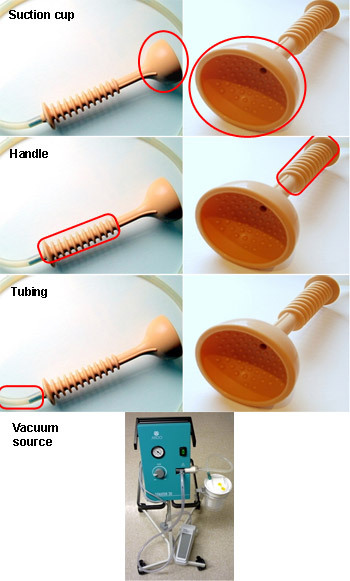 The suction cup is connected via the handle and tubing to a vacuum source.